3D Printing Preserves Ancient Bashkir Clothing and Culture #WearableWednesday « Adafruit Industries – Makers, hackers, artists, designers and engineers! Think how much of our world’s history is lost or forgotten because there was no way to record it. People most often think of protecting language and traditions, yet clothing is a strong part of identity. That’s why I love this project which uses 3D printing to replicate and preserve the original fashions of the Bashkir. First, let’s just establish who we are talking about. A Turkic people, indigenous to Bashkortostan, which extends on both sides of the Ural Mountains “where Europe meets Asia,” the Bashkirs speak their own language, and it’s said they are mostly Sunni Muslims of the Hanafi madhhab. 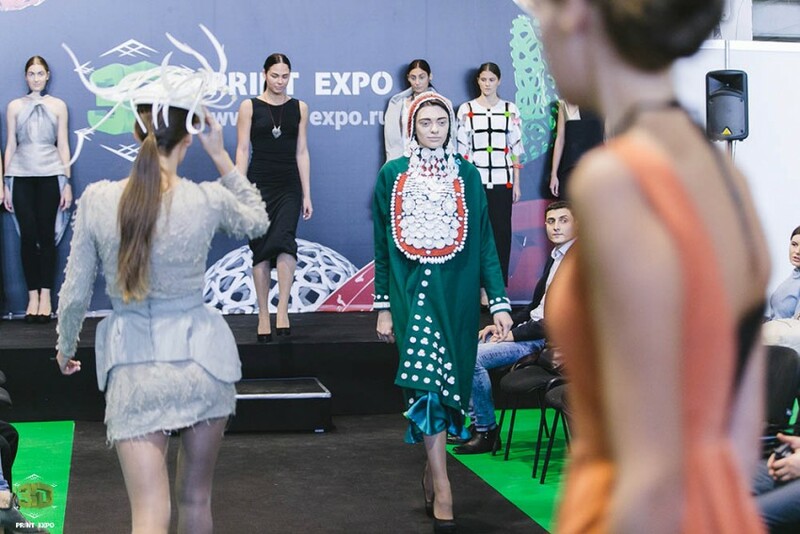 According to 3DPrint.com, a group of designers decided to create these fashions for the 3D Print Expo Show in Moscow. As you can tell from the photo, the 3D version of the breast plate, or dulbega as it is called, seems to be more of an ivory color, while the real deal appears metallic. That’s because the original dulbega was fashioned out of coins and jewelry. I like that they’ve allowed the comparison, because you can really see the detail involved in creating these fashions. Notice that earrings, as well as the trim on the headpiece and sleeves has also been done. Once painted, I’m sure this work could really pass for an outfit of the time. This project will bring even more communities together as people realize the importance of creating 3D files to preserve work. Now anyone with an interest in history, culture or design will want to find a way to get their work or the culture they care about, preserved. These are the people that will be using the system, but then there are other people that will need to maintain the system. This particular work was done on a PICASO printer. As with all forms of technology, printers will continue to advance while others die. People who understand old printers will be needed, as well as the lawyers and law makers who decide how the files should be dealt with. Will special labeling be developed for 3D files? Will there be entire physical libraries in charge of printing history? Will people even store files of their body parts? It’s really a fascinating issue, and I got a brief glimpse of it at a fashion tech event at Eyebeam Gallery in New York, where they were talking about the future legal issues of 3D printing. It’s a lot to take on, but the possible results seem worth the battle. Maybe you don’t have a specific culture you are trying to preserve, but you are a 3D printing fan. You should try our Cyberpunk Spikes for a taste of plastic-tastic fashion. Use NinjaFlex and complete the look with NeoPixel LED strips. Wear them on your jacket and inspire the world with a 3D future.